Have you ever heard anyone say any of these things? Or said them yourself? Even after salvation we are sinful creatures. It would be so much easier to interpret circumstances rather than interpret the Word. We see what is happening in our lives and immediately interpret that these circumstances are in fact signs from God, omens, and ‘Godly coincidences’ that are directly and presently speaking to us. We go ahead and make decisions based on them. We all know the story of Jonah. He was a Prophet of God, who prophesied to Israel. (2 Kings 14:21-25). He prophesied good things to Israel. It was during the reign of Jeroboam II King of Israel, when God was bestowing unmerited grace upon the people even though the King did evil in God’s eyes. The nation’s boundaries were being set and prosperity was growing. Therefore, likely Jonah was popular as a Prophet. Then one day the word of the LORD came to Jonah. Jonah was told to travel to the city of Nineveh in order to prophesy to them. Nineveh was evil, they were an enemy, and Jonah was aghast. He refused. 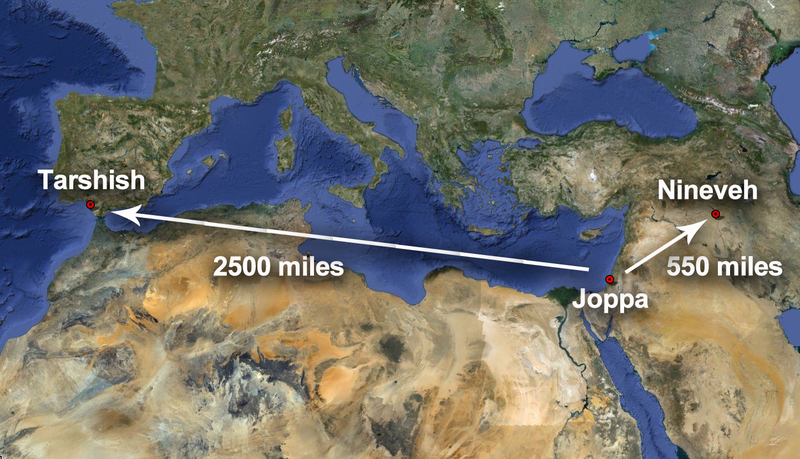 Effectively resigning his mantle, Jonah ran to Joppa instead, a seaside city where Jonah intended to grab a ship to Tarshish. This was the opposite direction of where God had told Jonah to go. All dressed and dusty as he is, Jonah throws himself into his berth, and finds the little state-room ceiling almost resting on his forehead. The air is close, and Jonah gasps. then, in that contracted hole, sunk, too, beneath the ship’s water-line, Jonah feels the heralding presentiment of that stifling hour, when the whale shall hold him in the smallest of his bowel’s wards. Interpreting circumstances is a dangerous thing. Let’s look at David. He was fleeing from King Saul, who was seeking David’s life. David and his men huddled in a cave in the wilderness of Engedi, hiding from the fire-breathing king. Saul suddenly appeared in that exact cave. There are hundreds of caves at Engedi. Hundreds. Yet Saul entered the exact cave in which David hid. Pixabay, free to use. 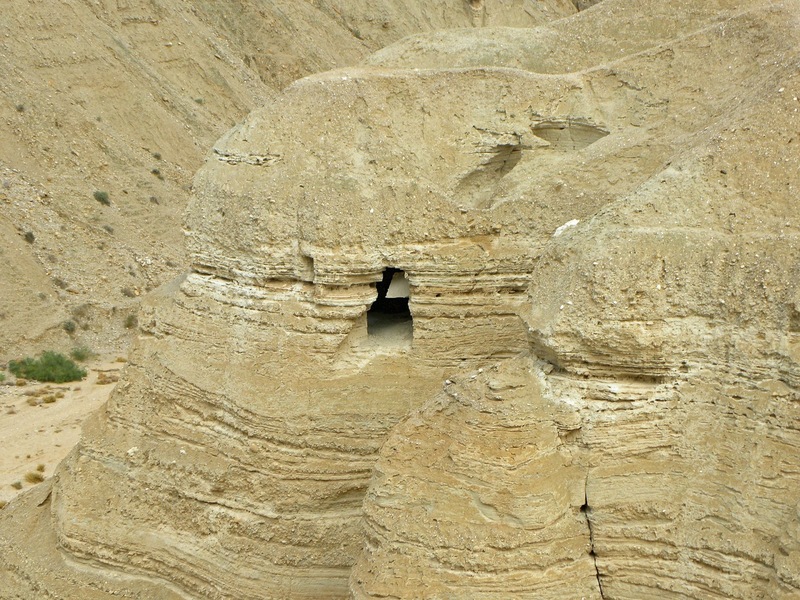 Hundreds of caves dot the En-gedi desert. “Behold, this day your eyes have seen that the LORD had given you today into my hand in the cave, and some said to kill you, but my eye had pity on you; and I said, ‘I will not stretch out my hand against my lord, for he is the LORD’S anointed.’” (1 Samuel 24:10-11). What Pastor Mark meant here is not that we interpret signs and omens, but that when things happen and we want to know what to do or how to think about it, we refer back to the Word. David knew God’s word and David knew His character. David acted according to this knowledge, not according to subjective impressions of the circumstances. Romans 8:14 says “For all who are led by the Spirit of God are sons of God.” So we know that the Spirit leads because He promised to lead us. But the Spirit doesn’t speak to us except through His word. And when you start thinking that God is giving you special revelation outside of His word, you have diminished the singular authority of scripture. We ought to look for the Holy Spirit’s leadership, but we must be cautious about assigning to Him responsibility for our words and actions. Our feelings are not necessarily a trustworthy source of information, nor are they an accurate indication that God has a special message to deliver to us or through us. Some throw out a fleece for guidance, some look for open doors or windows. Satan can create circumstances too. Remember Job. Satan brought about the many different circumstances that plagued Job. Stay away from interpreting signs and circumstances and just interpret life through God’s word. Let Us Reason: What does ‘touch not my anointed really mean?